Remember when you were this happy about your dental visit? All of the professionals at Colony Dental Care maintain the highest levels of accreditation and pursue ongoing education to stay abreast of the latest trends in dentistryThe brief descriptions below are designed to familiarize you with our training, professional credentials and work experience. Dr.G.S.McIntyre, Jr. was born in Vidalia Georgia but very early moved with his family to Fitzgerald, Georgia where he was raised. He is a 1962 graduate of Fitzgerald High School, a 1964 graduate of South Georgia College, and a 1968 graduate of Emory University School of Dentistry. Colony Dental opened in 1968 as a solo general dentistry practice. After 27 years Dr.McIntyre welcomed his daughter, Dr.Leah Cook, and his son- in- law, Dr.Hank Cook, into the practice. 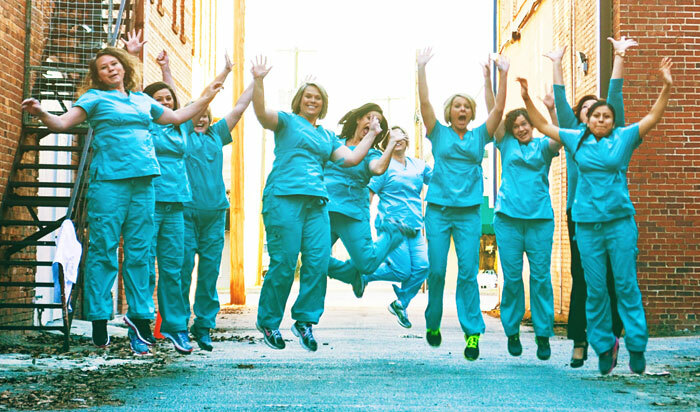 They continue to practice together at the original Colony Dental Care office in downtown Fitzgerald. 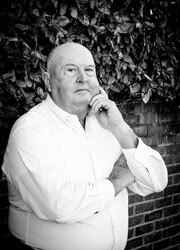 Serving his community was an important facet of life for Dr.McIntyre.He was a member of the Fitzgerald City Council, Fitzgerald City School Board, Fitzgerald Rotary Club, and past president of the Fitzgerald Chamber of Commerce. He continues to support economic development and other community projects in Fitzgerald. Dr.McIntyre keeps current his memberships in the American Dental Association, Georgia Dental Association, and the Southwest District Dental Association. He is an active member of Fellowship Baptist Church, Fitzgerald, Georgia. When not practicing dentistry, he is following his passion of working to improve the land and use it wisely. This passion includes his ownership of McIntyre Turf with his son Chris and his newest venture, blueberry farming at Anna’s Garden. He is married to Beth McQuaig McIntyre. Dr. Hank Cook was born in Fitzgerald, Georgia and graduated Fitzgerald High School on 1986. He graduated from the University of Georgia with a degree in business. He later graduated from the Medical College of Georgia School of Dentistry in 1995. 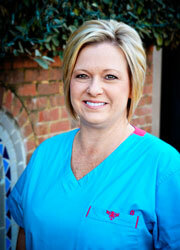 Dr. Cook has practiced Dentistry at Colony Dental Care in Fitzgerald since graduation from Dental School. He practices with his Father in Law, Dr. Steve McIntyre, and his wife Dr. Leah Cook. Dr. Hank Cook is currently a member of the American Dental Association, Georgia Dental Association and the Southwest Dental District association. He has served as president of the Southwest District and he currently serves on the Holding Company Board of the Georgia Dental Association. Dr. Cook has been awarded an honorable fellowship from the Georgia Dental Association, and a fellowship of the Pierre Fauchard Academy. Dr.Cook is also a member of the International College of Dentistry. Dr. Cook lives in Fitzgerald with his wife Dr. Leah Cook and his twins. He is very involved in his hometown community and attends First Baptist Church. Dr.Leah Cook was born in Fitzgerald, Georgia and graduated from Fitzgerald High School in 1989. After three years at the University of Georgia, she graduated and moved to Augusta to attend dental school. In the spring of 1996, Dr.Cook graduated from the Medical College of Georgia School of Dentistry. Both Drs. Cook owned a dental practice for fifteen years in Rochelle, Georgia. Since 1996, Dr.Leah has also been in practice at Colony Dental Care with her husband, Dr. Hank Cook and her father, Dr.Steve McIntyre. 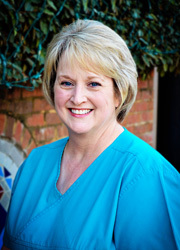 Dr.Leah Cook is a member of the American Dental Association, the Georgia Dental Association, and the Southwest Georgia Dental Association. 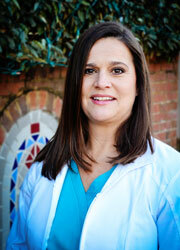 She served as the district and state Children’s Dental Health Month Chairman. Dr.Cook has been awarded a Fellowship with the Pierre Fauchard Academy and is a member of the American Academy of Facial Esthetics. From the early age of ten, Dr.Leah spent as much time as possible in her father’s dental office. She had the opportunity to witness many dental procedures. The most important lesson learned from Dr.McIntyre was to treat every person the way you would like to be treated. Dr.Cook lives in Fitzgerald with her husband Dr.Hank Cook and their twins, Anna and Samuel. 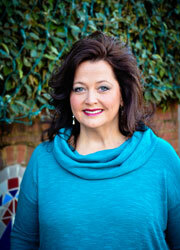 She is a member of the Tiftarea Academy Board of Trustees and attends First Baptist Church. I am a Registered Dental Hygienist since 1989. I was given an opportunity to work with this practice as its office manager in 2007. I love every single aspect of our dental office. My motto is simple; treat people like you like to be treated. 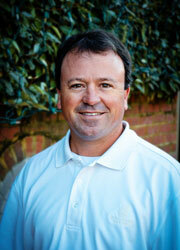 I have been a part of the Colony Dental Care team since 1997. 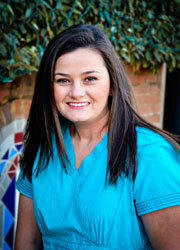 I am a Certified Dental Assistant and I truly enjoy assisting my patients with their dental needs. 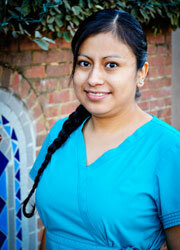 I am the hygiene coordinator as well as being a Certified Dental Assistant since 2001. I assist the hygienists as well as doctors and also have a huge part in the front office. My favorite part of the job is the fun interaction that I have with my patients as well as my team here at Colony Dental Care. I am bilingual and help translate with our clients that speak Spanish. I am a Certified Dental Assistant. I assist my doctors as well as translate for the hygienists and front office. I have been part of Colony Dental Care since 2011. 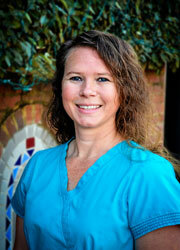 I have been a part of Colony Dental Care since 2006 as a Certified Dental Assistant. I want to make sure that every patient knows they are my first priority, and they chose our dental team for a good reason. 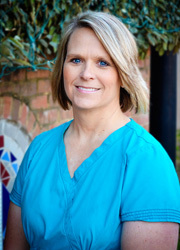 I received my Dental Hygiene degree from Darton College in 1996 and started working here at Colony Dental Care after graduation. Throughout my career I have met so many wonderful people that I love and respect. I graduated from DeKalb College in 1990 with a degree in Dental Hygiene. I am passionate about dental hygiene and I truly enjoy my patients. I’ve been part of Colony Dental Care since 2003. I graduated from the Medical College of Georgia in 1983 with my Dental Hygiene Degree. 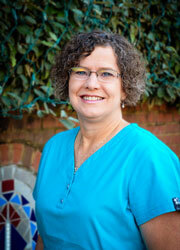 I began my career with Colony Dental Care in 1989. I enjoy developing relationships with my patients and helping them with their oral care. I have worked with Colony Dental Care since 2004. 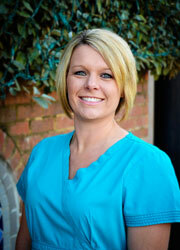 I am the financial and insurance coordinator, and I am also a Certified Dental Assistant.